Denver Mayor John Hickelooper is the Democratic nominee for Governor. 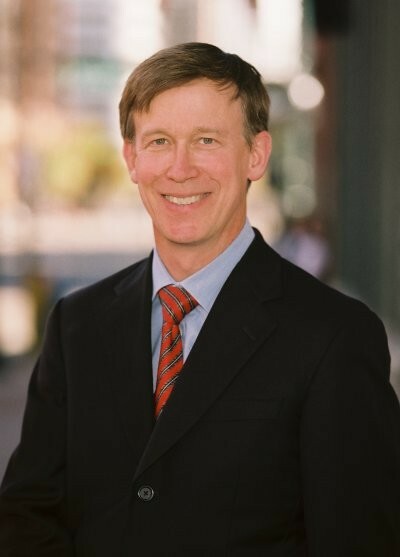 John Hickenlooper moved to Colorado in 1981, after earning a Master's in Geology at Wesleyan University, and found work with Buckhorn Petroleum. With the collapse of the oil industry in the 1980s, John was laid-off, providing him with the opportunity to follow his entrepreneurial vision. John struggled for a while until he came up with the crazy idea to build Colorado's first brewpub. As John likes to say, "I didn't know anything about starting a business. I didn't even know what a pro forma was." In 2003, John surprised the political establishment by winning election as Mayor of Denver. In his role as mayor, John's business abilities, partnered with his progressive vision for the city, have played important roles in the success he has achieved since taking office. In 2005, after serving only two years as mayor, Time Magazine placed him among the top five "big-city" mayors in the country. In 2008, John brought a new level of attention to the Mile High City, successfully marketing Denver as an ideal city to host the 2008 Democratic National Convention. John is now running for Governor on a jobs creation and economic development platform. In using his experience as a jobs creator and consensus builder in government, he wants to increase opportunity for the people of Colorado.